Will There Be Ingress Season 2 on Fuji TV? 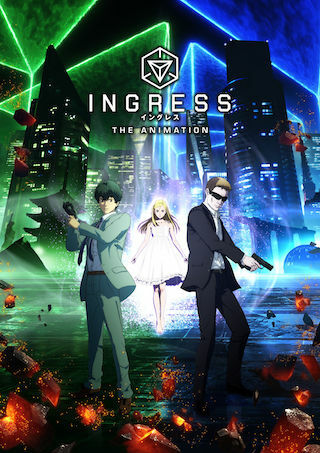 Ingress is a Japanese 30 minute animation mystery television series, which kicked off on October 17, 2018, on Fuji TV and is broadcast every Wednesday at 00:45. The show is currently in its 1st season. Fuji TV is yet to announce the renewal of Ingress for Season 2 as well as its cancelation. Sign up to track down the show's status and its release date. Since he was little, Makoto had a strange power which enabled him to read the memories of objects he touched. Hiding his uncontrollable power, he works as a special agent in the police force. One day, while investigating an explosion at a laboratory that researches a unknown substance called "XM", he sees a mysterious memory. The memory was from Sarah's ring, who was the sole survivor of the accident. It was a sight of a person being swallowed into a red light and disappearing. Makoto becomes embroiled in a massive conspiracy.